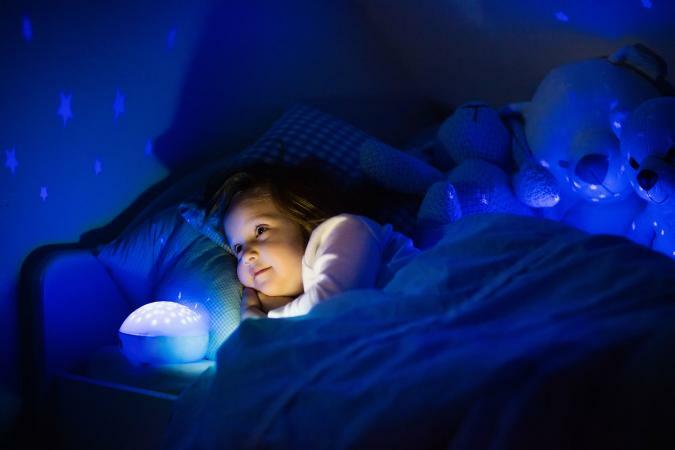 Night lights for children can help soothe bedtime fears. After the monster sweep to prove to your child that you've checked under his bed and looked in the closet, after tucking your child in and handing him his all American teddy bear, you'll want to flip on his little light. Night lights are perfect for when the child wakes in the middle of the night and needs reassured or when he has to get up to go to the bathroom. No more stumbling around in the dark! Night lights are low intensity illumination. Their purpose is to help members of the household see just enough to get around at night. For example, a parent can see objects in a child's room and go to a frightened child and comfort him or her without turning on bright lights and waking the child up even more. There are several types of night lights that might work well with children. These lights are perfect to light a small area but to light the entire area with a low, steady beam of light. These lights are best for bathrooms and hallways. Parents might want to place a diffused night light in the hallway outside a child's room, so that the child can find his way to Mom and Dad's room or vice versa. This is also the type of light you'll want to illuminate a child's bedroom. This type of light is better for lighting a very small space, such as a step or a wall. For the child who is frightened of a closet, a narrow beam light placed on the wall next to the closet can help to alleviate fears. Some parents choose to place a small lamp on a nightstand next to the child's bed. A low wattage bulb of 20 watts creates a perfect muted setting for peaceful sleep. If you have a little more money to spend, you may want to invest in one of the Alarm Clocks natural light alarm clocks. These clocks can be set to fade slowly from bright light to low light to darkness and back again, easing the child into sleep slowly. Amazon.com - You'll find some wonderful and unique night lights at great prices, such as illuminated dinosaurs and starry night rotating lights. Resenberry Rooms - Offers a huge selection of night lights to go with just about any décor. You'll even find zebra prints and pink, fuzzy, girly lights. Lauren's Linens - Some really unique and amazing lamps to match themed children's bedrooms. Sports themes, butterfly and other accessories complete the look. LuminaBella Night Lights - Amazing, stained glass night lights with kid themes can be found at this site. You'll love the hot air balloon, fish, honey pot bear and Pikachu night lights. These are just a few of the many wonderful night lights available for today's kids. Consider letting your child have input into the decision about which nightlight to place in his room. Sweet dreams!